MICK CONNOLLY’S early life was not calm. He was one of five children (four sons, one daughter) to mother Ellen and father Danny — a Communist Party member. During the tail-end of the Blitz in 1941, Ellen moved her children to the relative safety of Swindon, where Mick was born in July of that year. Returning soon to London, Ellen would again move the children to safety, this time to Lancashire, where they saw out the war. Danny became a university lecturer of politics and economics while Ronnie became a Transport and General Workers Union (T&G) official, and Terry attended Hull University on a T&G bursary. Patsy however was evacuated to Wales with their nan, where sadly she was killed in a road traffic accident in 1944 aged just 4. After the war the family would return to their native Wapping. Mick (pictured) attended Wapping’s St Patrick’s Roman Catholic Primary School — now demolished and redeveloped — after which he followed his father and brothers into employment in the London docks and joined the Communist Party. Political education started in the home and continued at work and Mick was quickly elected as a T&G shop steward to defend the interests of his co-workers. During this time he was a contemporary of well-known communist dock and river workers such as Jack Dash and Harry Watson. Mick married Paula in 1962 and they had two sons, Sean and Mark. The family grew, and Mick’s love of his grandchildren was well known in the Southern and Eastern Region TUC (Sertuc) office. Sean and Tricia had Chloe and Sam, and Mark and Tania had Thomas, Joe and Zak. While a dock worker he benefitted from the structured support for working-class activists (that hardly exists now) to further their education, going to the London School of Economics and graduating in 1966 with a politics and economics degree. He was then a T&G full-time officer, based in the union’s Stratford district office and working and organising in east London. The Stratford office became a hub of organising and political mobilisation as Mick was joined by a number of key young left-wing officials, many of whom went on to hold senior office in our movement. Mick was later appointed by Ken Livingstone, leader of the Greater London Council (GLC) as director of the Greater London trade union resource unit (GLTURU). The unit’s work was wide-ranging and cemented Mick’s reputation as a leader in anti-racist campaigning. While at GLTURU Mick also commissioned work on London’s manufacturing base, questioning the over-reliance on defence industries and the arms trade. Mick was a great internationalist. He had an enduring affinity with the Spanish republic and unions, particularly the Comisiones Obreras (CC.OO) in Catalunya. He was quick to draw the lessons for London from the experience of economic regeneration enjoyed by Barcelona when the city won the right to stage the 1992 Olympic Games. Mick of course lost his job when Thatcher abolished the GLC in 1986 and he returned to the role of lay activist. He eventually became vice chair of T&G region 1 (London, South-East & East Anglia) regional committee, one of the key left regions in the union. 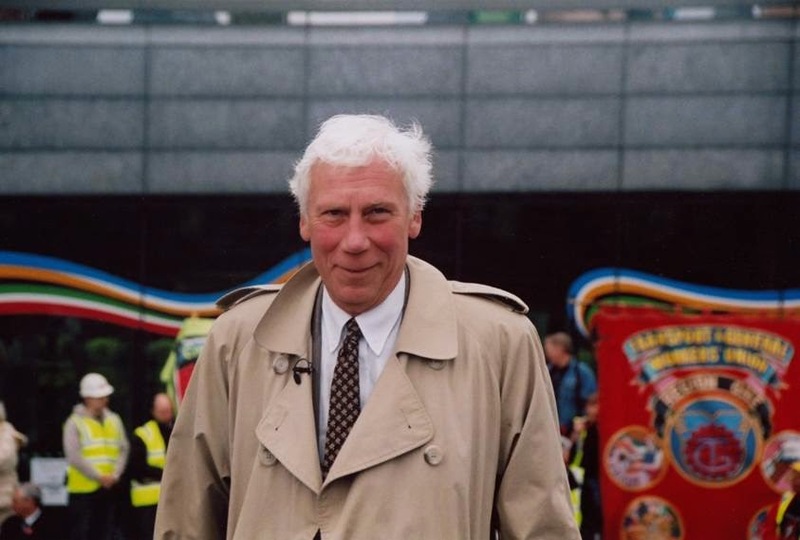 London taxi driver, T&G executive council and TUC general council member Peter Hagger, who died too young in 1995, was a close personal and political friend. During the miners’ strike the T&G established a special unit in the region 1 office staffed by Mick and Peter to track the movement of coal across London and the south-east. It mobilised trade unionists to try to stop the coal getting to power stations. Both Mick and Peter’s powers of persuasion and motivation were legendary. Barry Camfield recalls a visit to South Africa with Mick in 1989, at the invitation of the South African T&G, a couple of months before Nelson Mandela was released from prison. They went to a bus depot with South African T&G president Vivian Zungo, who worked at the depot, and union general secretary Jane Barrett. In 1993 Mick was appointed Sertuc regional secretary, a post he held until his retirement in 2006. He made sure that Sertuc led the TUC’s anti-racism campaigning and was instrumental in gathering a popular front of anti-racism organisations under the banner “Unite Against Racism,” following the election of the first ever BNP councillor. Mick organised the TUC’s Unite Against Racism march where over 40,000 people marched through Tower Hamlets in March 1994. Campaigning continued and the BNP was defeated in May. In 1997 Sertuc put on an organising conference and Mick invited as keynote speaker the then US Service Employees International Union president Andy Stern. He was ahead of the game as usual and 350 delegates heard the call to build our unions by recognising the difference between organising and recruitment. Working with mayor Ken Livingstone, Mick again showed his international credentials by mobilising the unions to support and engage with the European Social Forum held in London in 2004. Mick strode the Sertuc stage like a colossus. 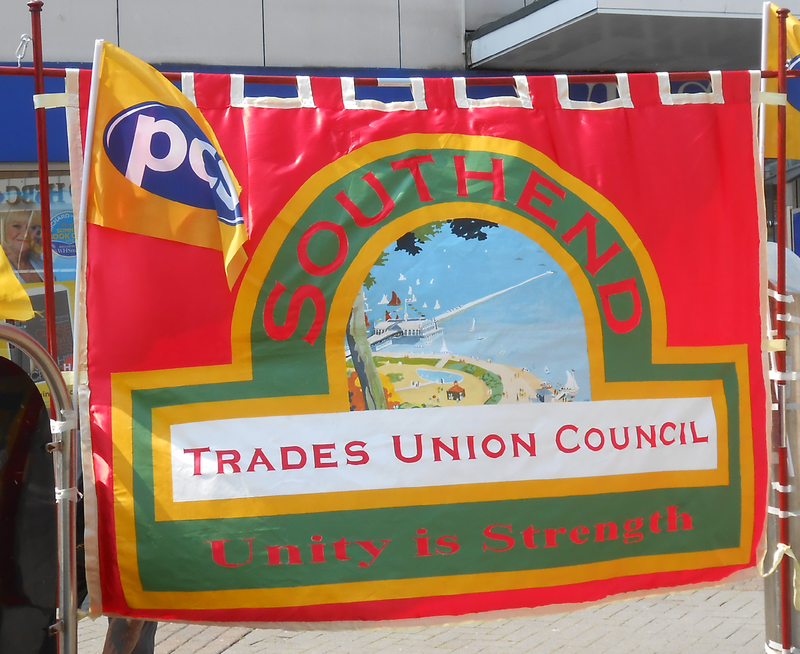 Full-time permanent TUC regional secretaries were a new-ish phenomenon and Mick created and coalesced Sertuc as the TUC’s leading progressive region — always with the breadth of working-class interests at its centre. That meant anti-racism and women’s equality was, and is, at its heart.